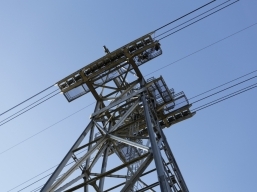 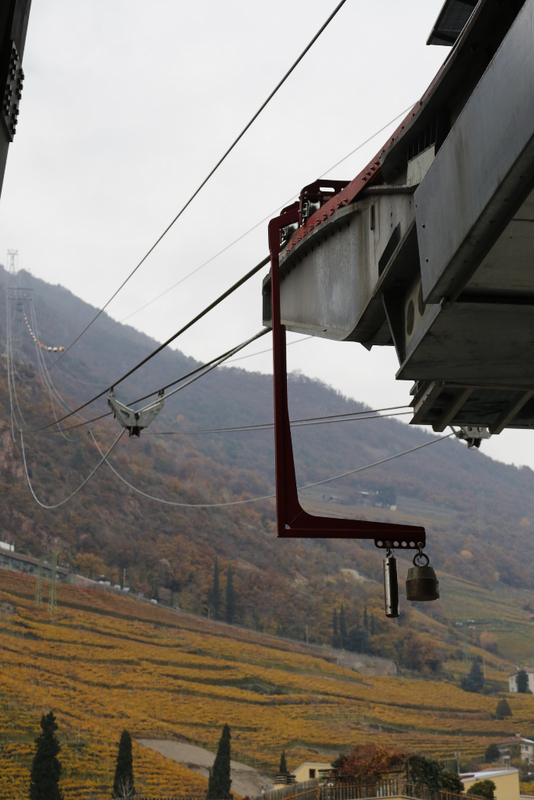 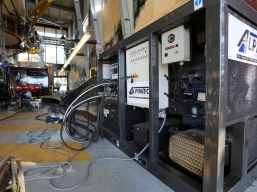 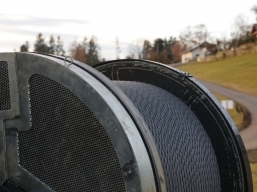 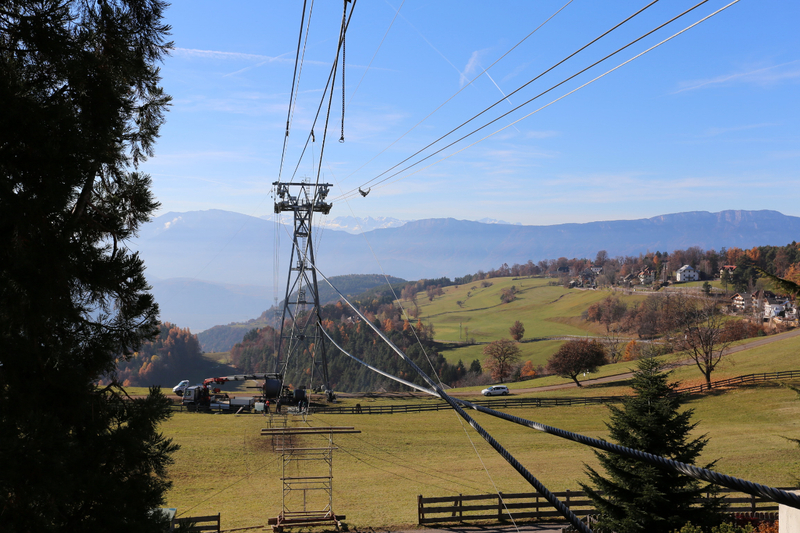 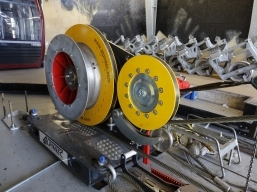 In autumn 2012, the hauling rope of the tri-cable TD35 Bozen – Oberbozen aerial cableway was replaced. 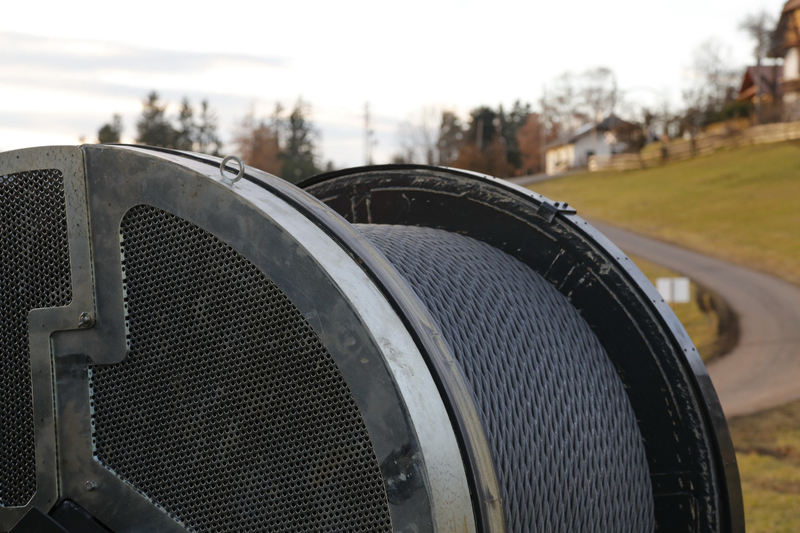 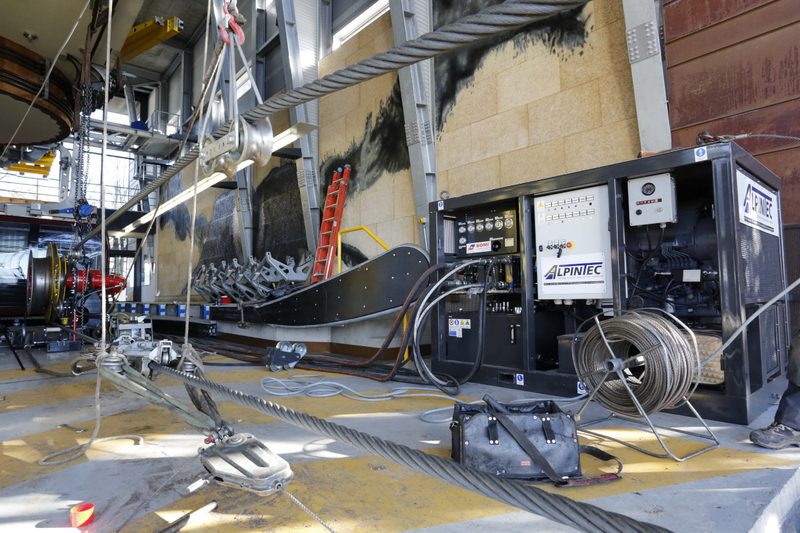 The new cable, over 9,000 m long and 40 mm thick, weighs 65 tonnes. 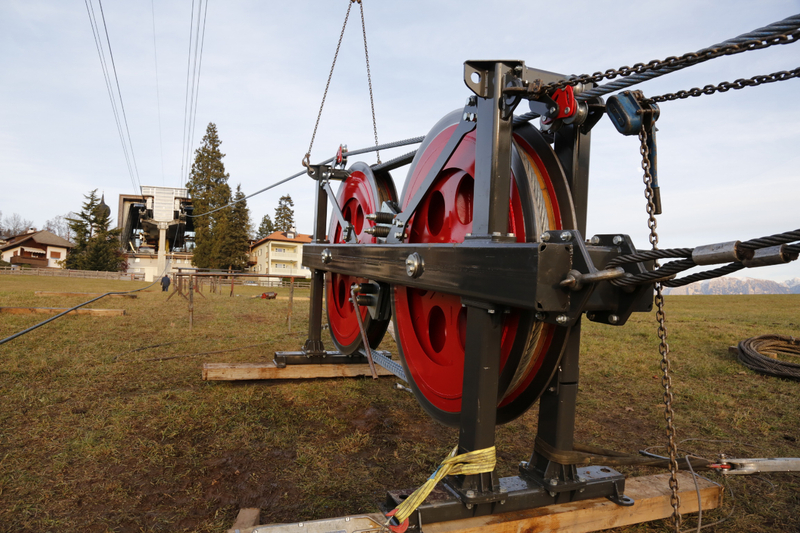 It was delivered to the upper station, spliced into the existing traction cable loop and pulled round. 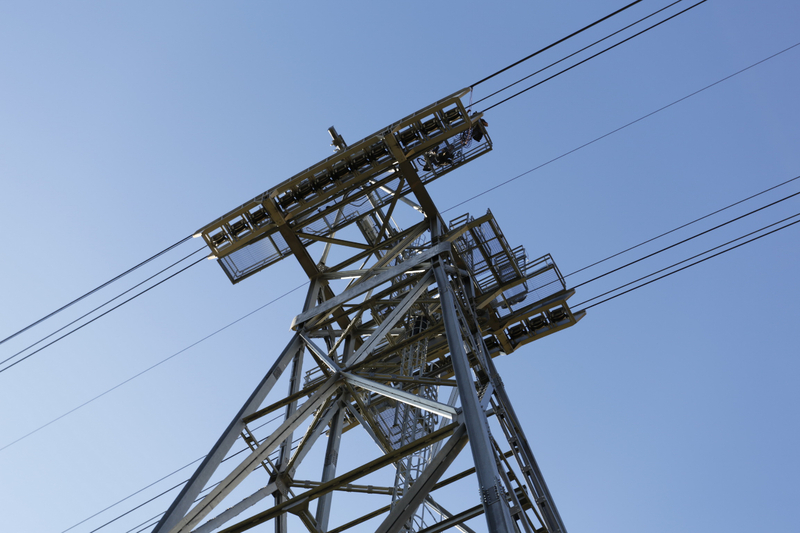 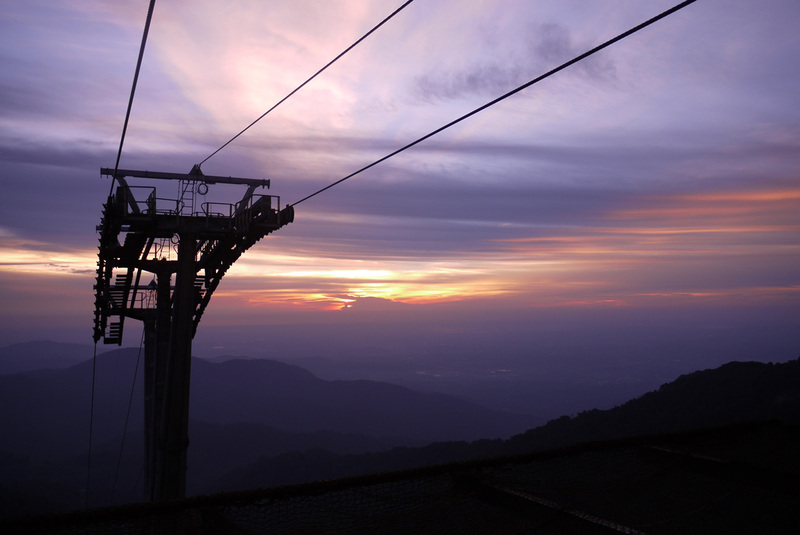 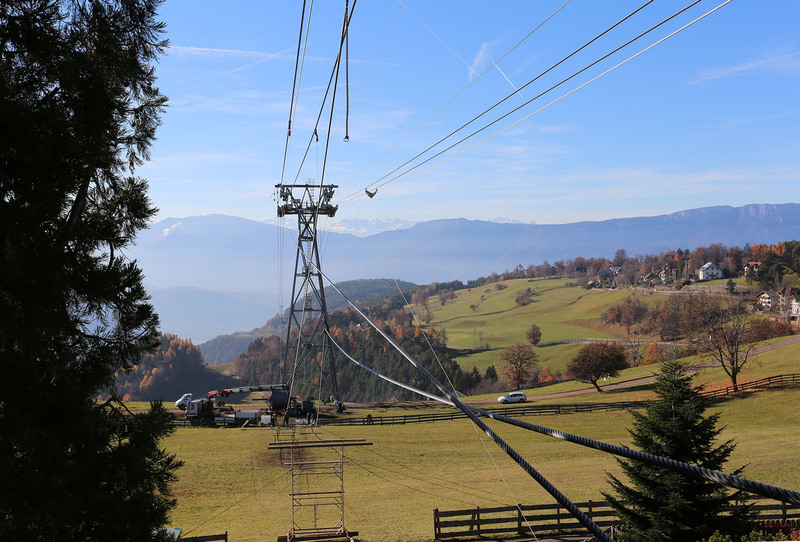 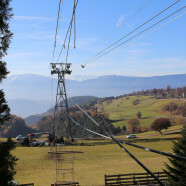 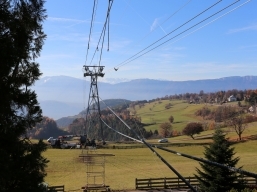 The cable had to remain under continuous tension, due to housing directly under the route of the cables at the lower station, and above the town, unprotected high-tension power lines crossing underneath the cables. 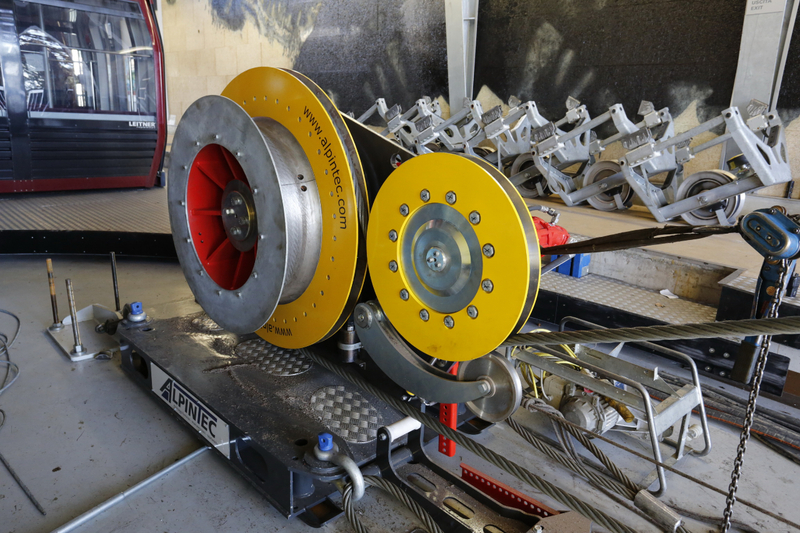 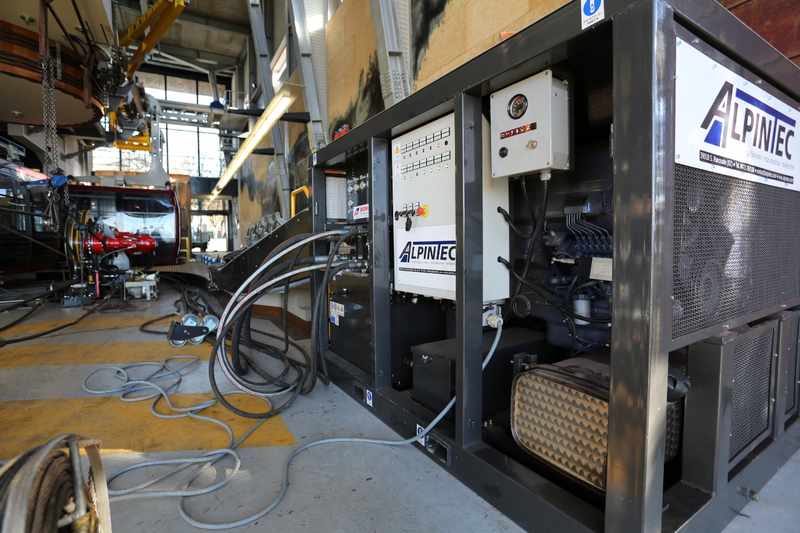 To guarantee the calculated cable tension needed of slightly over 12 tonnes, it was no longer enough merely to be able to anchor the cable on the drum, and that meant that our newly-developed cable brake would be used. 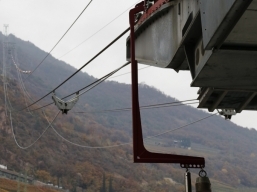 With its help, the cable running around pulleys can be held stationary by the friction developed alone. 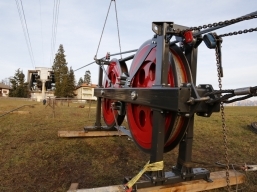 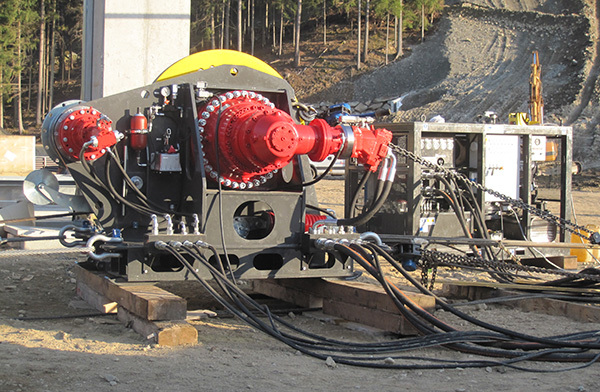 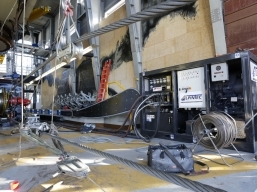 In combination with the traction cable winches, the new cable was thus hauled into place in only two days.